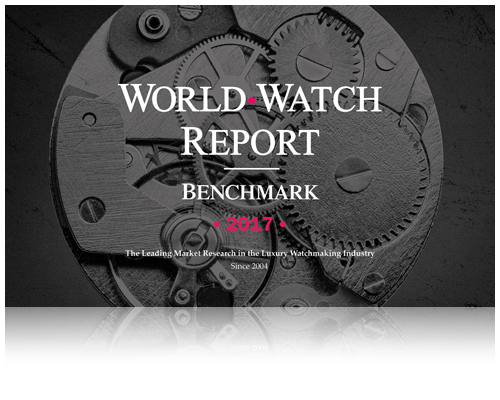 The WorldWatchReport™ Benchmark is based on a sample of 85 million web sessions recorded from participating luxury watch brand websites. Data is extracted from Google Analytics, anonymized, aggregated and harmonized in order to provide an exclusive industry benchmark. If you are one of the 62 pre-selected brands invited, you can join the panel to get the WorldWatchReport™ Benchmark (yearly edition). Luxury consumer behavior has changed, and as a consequence luxury watch brands are now heavily investing in digital; with up to 50% of total marketing budgets dedicated to it. The WorldWatchReport™ Benchmark analyzes 8 strategic metrics, across 24 markets, to help Luxury Executives optimize their digital strategy, website effectiveness and drive-to-store activities. How am I performing digitally compared to my competitors? What is the commercial impact that I can expect from my digital activities? How can I optimize the overall digital marketing ROI? What are the channels that my brand (or brands) is currently under leveraging / could improve? What is my level of traffic and how does it compare to the industry, how fast is it growing vs. competitors? How do I stand in terms of product and retail online engagement? Could I drive more traffic to the collections? To the store locator? How does the industry stand in terms of mobile audience? How fast does it grow? Which markets represent the strongest mobile traction? Which markets do I have the highest digital potential in? Where should I stop investing? Markets : Australia, Brazil, Canada, China, France, Germany, Hong Kong, India, Italy, Japan, Malaysia, Mexico, Qatar, Russia, Saudi Arabia, Singapore, South Korea, Spain, Switzerland, Taiwan, Thailand, United Arab Emirates, United Kingdom, United States.